All children ages 0-5 & caregivers, join us on Fridays in Fall, Winter & Spring! Come enjoy music, dancing, and rhythm together as young children gain an appreciation for music in this interactive learning environment. 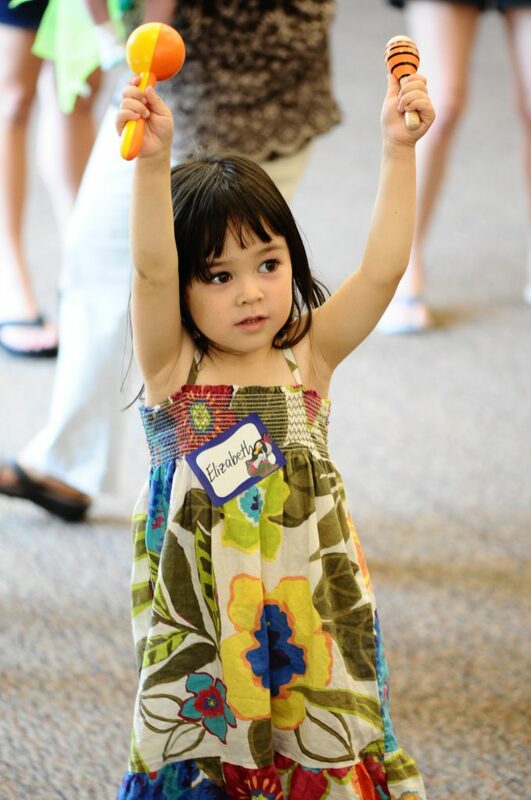 Kids Jam is designed for children ages 0-5 & caregivers to enjoy music together! Each class time is followed by a snack with fellowship for parents while children play. Invite a friend and join in the fun! If you’d like a place to connect with other parents and enjoy music with your child, this is the place for you! Cost is $5 per family per visit and can be paid weekly at the door. Kids Jam begins at 9:30am in Room 108.